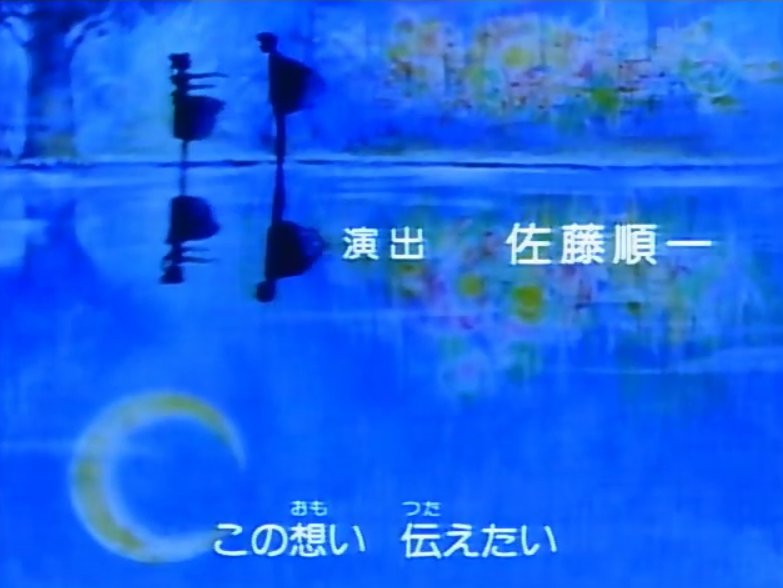 Today’s post is a few reflections on my favourite piece of music used in any series of Sailor Moon: Heart Moving. Used as the first closing piece for the show, the piece evolved in its use into the most emotional theme in the first two series. Simple chords, sentimental lyrics and rising arpeggios belie a strange bittersweetness, Let’s take a listen. 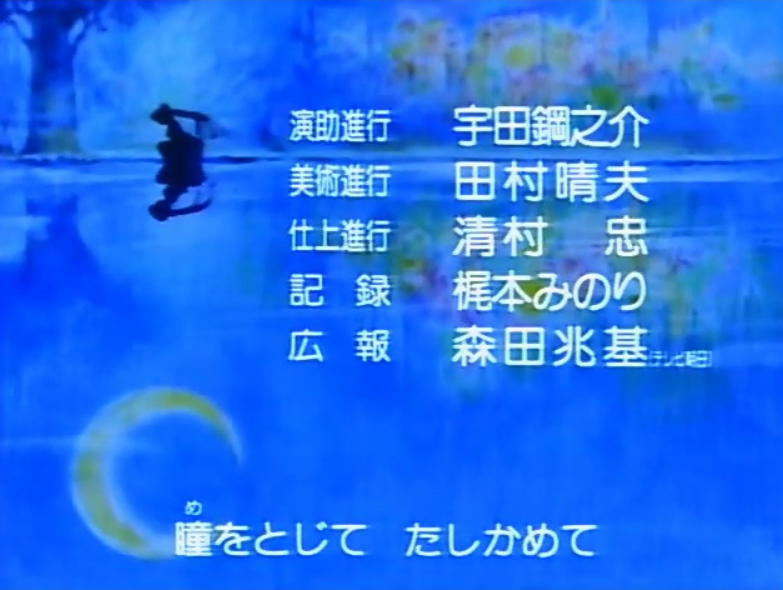 The first ending sequence used in Sailor Moon is as stylistic as its first opening, the strange Russian-inspired bizarre-a-thon set to Moonlight Densetsu, but rather less obviously so. It’s modest, simple and leaves much of the screen swamped in shadowy blue. If this is was a practical consideration, to leave plenty of room for the credits, then it was fortuitous, because it creates a strange, moody and fantastical atmosphere to the sequence. Perhaps I’m looking too much into it. In all likelihood I’m conflating my emotional attachment to the music of Heart Moving with an objective regard of the animation, but I’d like to think not. 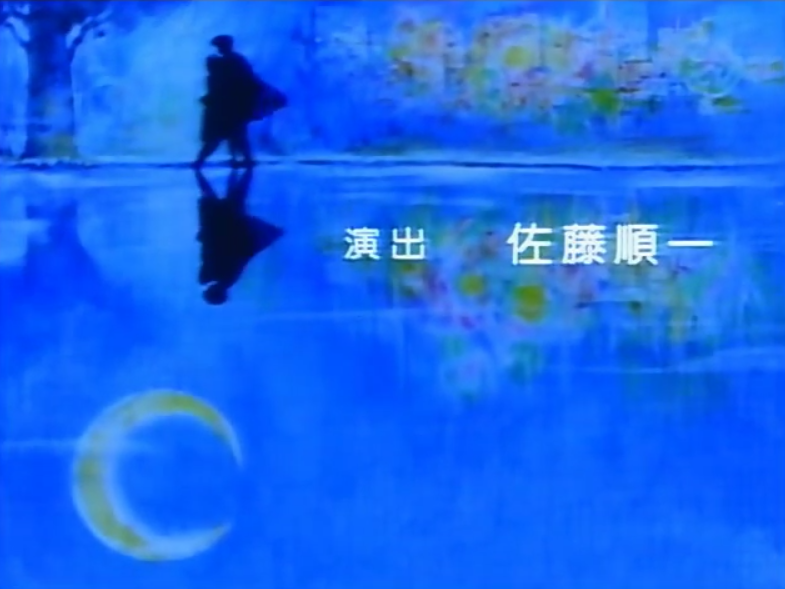 The simple imagery of nighttime, moon, distant city, Usagi’s silhouette with its distinctive odango-shaped buns, is all very much in keeping with the asthetic of the first dozen episodes of Sailor Moon. By the point of episode 21, the last episode I reviewed, the series has lost that curious purple haze that characterised the art style. 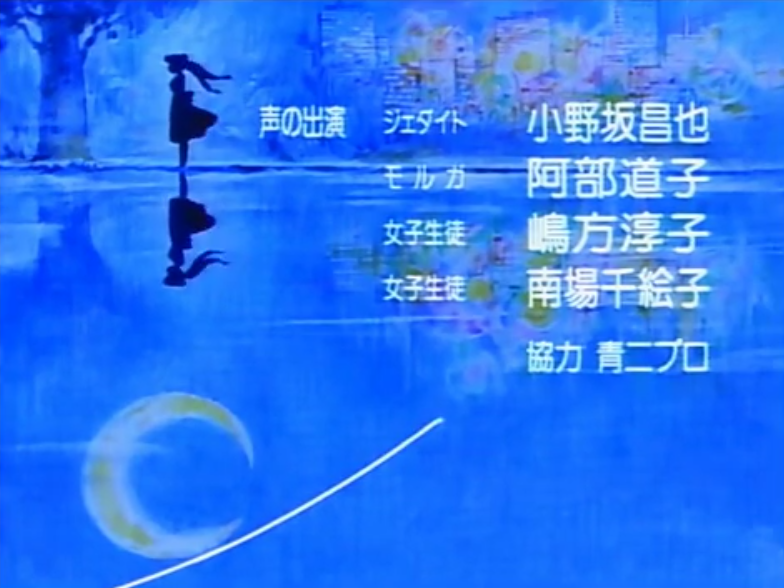 The silhouetted Usagi that we see in the sequence is somewhat at odds with the clumsy, loud girl in the anime. This is a conscious decision. This lonely, searching shadow has been implied a couple of times in the series – it’s what Usagi has the potential to be, the romanticised version of herself that we glimpse as she adopts a few more “princess-y” attributes as the series continues. This is all amplified by the music. Heart Moving is a simple tune, straightforward chord sequence, simple melody, late 80s sheen, yet there’s something within the notes that I might describe as a “beautiful sadness”, to put it in a douchey manner. I’ve always found this an oddly forlorn gesture, but maybe she just needs to tie her laces up? The lyrics are also simple, but I’ve always found them strangely meaningful. I suppose you find meaning where you want it, but lyrics about “seeing us together in a dream” and “something changes when you fall in love” speak to me of heart ache rather than heart moving. This is probably not a sinister scene… right? The cherry on top of the sequence is, naturally, the appearance of a second silhouette during the deeper-textured second chorus of the sequence. It’s a dramatic, romantic moment, and all conveyed by the suggestion of lingering, longing looks of shadows. As the two embrace, and the music enters a final cheesy but-I-love-it-anyway capo, you can’t help but smile. This is a discussion of the ending sequence, but Heart Moving is used at several key points in the series as an instrumental, and this is where the piece shines. This is where the true bittersweet emotions come into play, all enhanced by the fact that the piano and orchestral versions of Heart Moving are played during really rather harrowing scenes. One of those is coming up rather soon as a matter of fact. Hope you enjoy this piece as much as I (evidently) do.